Taylor Swift arrived late on stage after fans were lashed with rain from an electric storm. Photo Mark Metcalfe. AS THEY say in entertainment, the show must go on. Taylor Swift's Reputation tour played its third Australian date last night in Sydney and concert goers were lashed with severe weather. 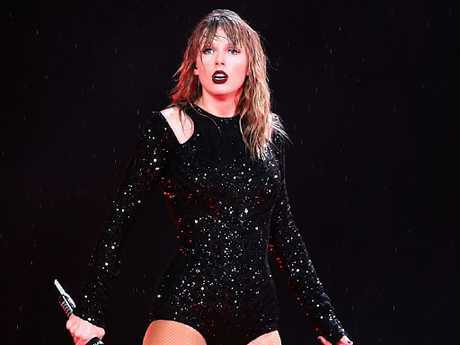 A major rain and electrical storm caused the show to be delayed by almost an hour, and when she did emerge on stage, Swift was quickly drenched. Swift arrived on stage late after an electrical storm lashed concert goers. Picture: Mark Metcalfe. 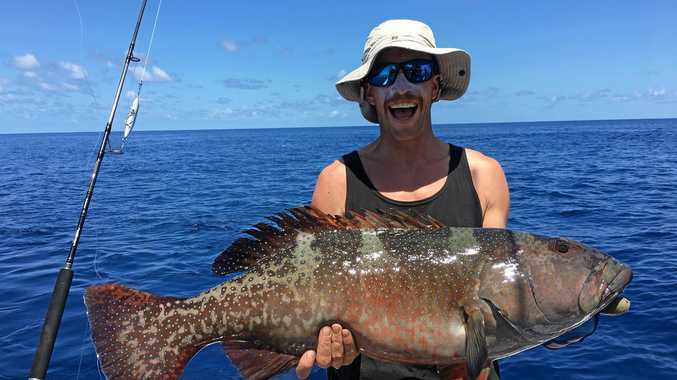 Earlier in the day, there were few signs of nasty weather on the horizon as the mercury hit 37 degrees in the city's west. But just before the super star was due to begin, a nasty lightning storm raged over ANZ Stadium. Fans took to social media and complained of long wait times and being drenched with nowhere to shelter, but others remained upbeat. Lightning and other horrific conditions proved no match for many "Swifties" (that's Taylor Swift fans, for the uninitiated), who weathered the storm for the sake of seeing Swift perform. She took the stage just after 10pm in a sparkly black body suit. According to Twitter, Sydney's public transport system was altered to accommodate the masses of people heading home following the storm. For others, there was a long wait, with those driving stuck in traffic for hours. The concert was not a dampener in its magnitude, with 30-foot screens on either side of the stage, a light-up cage carrying Swift over the crowd, fireworks, pyrotechnics displays and a crew of backup dancers. The show also featured a large'puppet snake on stage and serpents displayed on screen - a nod to her online and on-the-phone feud with power couple Kim Kardashian and Kanye West. Reviewers described "crowd karaoke" that at times dwarfed Swift's own voice. The show must go on. Picture: Mark Metcalfe. Spirits were high despite people being absolutely drenched. Some reported many parents being flustered and leaving the open-air concert early with their younger children. Swift's Reputation tour featured support acts Charli XCX and Broods. The support acts appeared alongside Swift as she performed her song Shake It Off in the rain. Swift has built herself a reputation indeed, with her career and lyricism famed for thinly veiled references to her romances and friendships, often ill-fated and very public. Swift considers herself a feminist and after years of political silence recently became outspoken about voter registration. Swift in her black sequin body suit. Picture: Mark Metcalfe. Swift spoke in August, and the organisation vote.org reported a massive surge in registrations that month, particularly in the 18-25 demographic. The singer has a massive online presence, with 112 million followers on Instagram alone and another 84 million on Twitter.